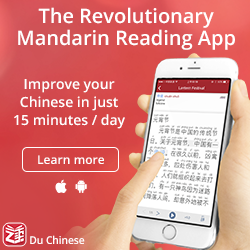 Do the Chinese think differently than we do? Are cultural differences only something superficial or are there deeper, more fundamental differences between people in East Asia and the West? The first time I returned to Sweden after an extended stay in Taiwan, questions like these weren’t the most common ones asked by family and friends, but they were certainly the most interesting that I spent the most time thinking about. I have of course encountered these questions many times since, but this semester was the first time that I’ve had the opportunity to actually investigate them based on something other than my own personal experience. In a course called “語言、文化與認知” (Language, culture and cognition), we’ve been reading mainly two books dealing with these three topics and how they are related. The first is Richard E. Nisbett‘s The Geography of Thought and the second is Language, Mind and Culture by Zoltan Kövecses. Both are quite interesting, but Nisbett’s book is much easier to read and probably also more interesting for the average Chinese student, which is why I have chosen to write this recommendation. Even though Hacking Chinese is mostly about how to learn, I sometimes think it’s necessary to step outside this fairly narrow range. 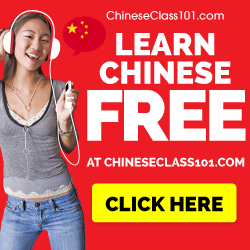 This typically happens when I encounter something which I think is very important but hard to find online (such as my guide to Pinyin traps and pitfalls), or when I find something which is related to learning Chinese and is so interesting that I think it’s worth recommending to everyone. This article is a prime example of the second type. 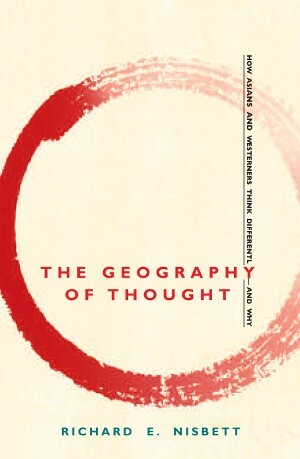 The full title of this book is The Geography of Thought: How East Asians and Westerners Think Differently… And Why. This explains quite well what the book is about, even though almost all the words used are quite vague. East Asians in this case means Chines, Japanese and Koreans. Westerners typically mean America, but can be extended to the rest of the Anglosphere, and occasionally also to Europe. The author is not after making detailed points about the differences between people from specific countries, he’s after the big picture. The really big picture, actually. Science and Mathematics – Why would the ancient Chinese have excelled at algebra and arithmetic but not geometry, which was the forte of the Greeks? Why do modern Asians excel at math and science but produce less in the way of revolutionary science than Westerners? Attention and Perception – Why are East Asians better able to see relationships among events than Westerners are? Why do East Asians find it relatively difficult to disentangle an object from its surroundings? Causal Inference – Why are Westerners so likely to overlook the influence of context on the behavior of objects and even of people? Why are Easterners more susceptible to the “hindsight bias,” which allows them to believe that they “knew it all along”? Organization of Knowledge – Why do Western infants learn nouns at a much more rapid rate than verbs, whereas Eastern infants learn verbs at a more rapid rate than nouns? Why do East Asians group objects and events based on how they relate to one another, whereas Westerners are more likely to rely on categories? Reasoning – Why are Westerners more likely to apply formal logic when reasoning about everyday events, and why does their insistence on logic sometimes cause them to make errors? Why are Easterners so willing to entertain apparently contradictory propositions and how can this some- times be helpful in getting at the truth? Although it’s very hard to compress all the arguments of the book into a summary of less than 2000 words, this is still a very good attempt. Of course, it won’t detail empirical support or illustrate with examples, but it should definitely be enough to let you decide if you think the book is worth reading. If you feel very brave, there is a Chinese translation called 思维的版图. In summary, the book starts in ancient Greece and China, discussing how the predominant philosophies, discussing the individualism (personal agency) of the West in contrast to the collectivism (collective agency) of the East. The Greeks tried to understand things as linear, simple, devoid of context, whereas the Chinese regarded the world as a complex place in constant flux, with objects best understood by their relationship to each other, rather than as separate entities. Nisbett then traces the origin of these different modes of thought to the socio-economic and cultural factors that gave rise to these two very different civilisations (an archipelago focusing on maritime trade versus an agricultural empire). Then, the book moves into the present day, looking at how East Asians and Westerns perceive the self in contrast to the collective, using numerous studies to support the claim that East Asians are more interdependent than Westerners, who tend to be more individualistic. The key concept in East Asia is harmony, where collective goals are held as more important than individual goals. The next chapter shows how ancient philosophy actually does reflect the way people think today, using several studies to show that East Asians are more sensitive to substance rather than shape, are better at perceiving relationships between objects rather than the objects themselves, and focus more on context than Westerners do. Westerners view themselves as protagonists in an autobiographical novel, whereas East Asians are more like supporting roles in numerous other novels. Next, the author moves on to the topic of causality, arguing that East Asians pay more attention to context (the other boys made him do it) rather than attributes intrinsic to the person (the bad seed). Westerners see overly simplistic causal chains where East Asians see opaque complex systems. This theme of relationships versus objects is further deepened in the next chapter, which presents studies showing that Western children learn nouns much faster than verbs, whereas the opposite is true for East Asians. Similarly, East Asians tend to group words based on their relationship to each other rather than on the categories they belong to. In the next chapter, Nisbett turns to rationalism and reasonableness, arguing that the former is very important in the West, whereas East Asians traditionally favour the latter. Westerns strive to resolve dilemmas and paradoxes, whereas East Asians strive for compromises or can accept what to a Westerner looks like two mutually exclusive opinions. In the final “real” chapter of the book, the author discusses how these differences manifest themselves in different areas of modern life, such as law, science, education, business, philosophy and so on. Finally, in the epilogue, the author looks forward, discussing what effects this has for cognitive and social psychology as well as for the world in general. Will we see a clash of civilisations or will globalisation lead to a convergence of ideas? This image roughly represent my view of cultural differences. As we can see, people in Taiwan and Sweden (or wherever) differ from each other, but the differences between individuals can be much bigger than the difference in averages between the two groups. However, this doesn’t mean that there isn’t room for highly significant and interesting statistical differences between cultures. If we look at all Taiwanese people and all Swedish people, we will certainly find a lot of differences, although these might not apply to all of the individuals in those two groups. This is what people perceive as being the difference between the way people act and think in different countries. The reason I like The Geography of Thought is that it connects the dots. Over the years, I have collected a large number of observations of how Taiwan (the East) is different from my native Sweden (the West), both through direct observation and through reading about the experience of other people. 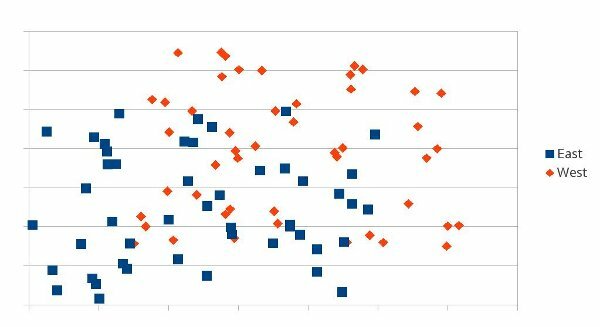 However, these are usually just independent data points (dots). The Geography of Thought helped me connect these together and gave me a glimpse of the big picture. Naturally, to arrive at this big picture, some sacrifices need to be made. There are indeed several articles that discuss and criticise The Geography of Thought, sometimes because of the sweeping statements about “the West” and “the East” (how can you even discuss something which is so vaguely defined? ), sometimes because of the conclusions the author arrives at (claiming that the author overreaches in his ambition to find a common denominator for the observed data). This doesn’t bother me too much, though. I don’t read this book to write a thesis in social psychology, I read it because I want that bigger picture which is so hard to get at. Thus, I recommend this book because I really think that it offers a valuable insight into how Asians and Westerners think differently. It’s not a handbook in intercultural communication, but I dare say that most people who have had at least some exposure to the cultures of East Asia will find it interesting. However, the book hasn’t changed my basic approach, I still think that people are people, regardless of their cultural background. I think there are certainly differences between how we perceive the world around us, but I think that the similarities are much bigger than the differences. Still, as I said earlier, these differences are important, and in The Geography of Thought, Nisbett makes an excellent attempt at discussing them and explaining the underlying patterns that make us think differently. If you want to read the entire book, you can buy it from Amazon here. I was really hoping you’d discuss *what* the book talks about. I did provide a link to a pretty good summary, thinking that it’s probably better than what I would have written and it seemed like a waste of time to write my own summary, which would have been quite similar. Still, I think you have a point, so I have added a summary of the summary to make the review more complete! I’d guess he wants people to buy the book rather than completely disect it on a public webpage. I think it’s a little silly to have to buy a book to learn something, but that’s how people want to live. Well, yes, it’s a book recommendation! It’s not meant to be an in-depth discussion of all topics covered in the book, although I have included a link to a detailed summary as well as provided my own, shorter version. In a perfect world, all information would be free and you wouldn’t need to buy this book or any other, but that’s not the world in which we live, so buying books is still necessary, both to get the information and to support the people who wrote them. What a condescending way to reply to a valid critique of your lazy review. I’ll unsubscribe from this, thanks. thanks for this! I’ve heard about the geography of thoughts 4 years ago but then forgotten it, I’ll buy it! I do agree with your graphic. Culture and language influence your “thoughts,” but so do your characters and personal experience. An interesting book.. I will keep my eyes open for buying a copy locally. It fits into a broader view of language learning. In general it is claimed that bilingual people tend to be smarter than monolingual. It seems that the broader abilities come from not having one’s thinking restricted to one culture and its language idioms. Recently I am making a lot of progress with retaining and recalling Chinese characters. I am using the traditional tool of association of all the elements in the character to some sort of story or image. But I am finding that the more I can employ irony in the creation of the association, the easier it is to have good recall. I think I am one to something. 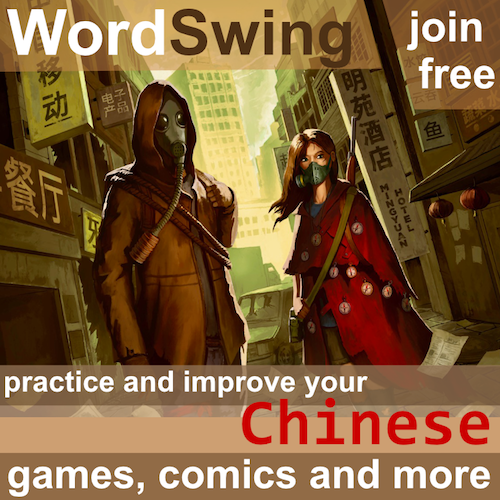 I have gone back into a deep review of Reading and Writing Chinese as it has the ‘bits’ that build characters that come from historical character usage AND culture. 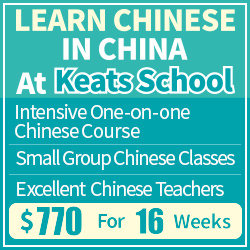 One can’t really learn Chinese without learning something about thinking like a Chinese. Unlike European languages that share so many common cultural events, Chinese has a very different point of view. The so-called ‘bits’ are of critical importance for remembering and recalling characters … do I dare say that they are The Alphabet of Traditional Chinese? These include the Ten Heavenly Stems, the Twelve Earthly Branches and quite a few characters that are noted as ‘no longer used independently in modern Chinese’. I started with the McNaughton and Li book some 25 years ago, have built up a big library of other books to learn from … but I keep returning to this one. Does geography influence linguistic sounds–perhaps. Caleb C. Everett presents a strong argument that it does-at high elevations(PLoS ONE: 6/15/2013). But does Geography determine how we think,talk and our cognitive outlook as well? First. Let’s say there are about 6,000 languages being spoken on any given day. Now really,considering so many languages, the notion that thought generates and predetermines a unique human Language and thus,how one sees the world while appealing seems far-fetched to say the least.Am I a “different person” when I speak Chinese? If I’m learning a language without a subjunctive mode does this mean I can no longer make a valid prediction or hypothesize?